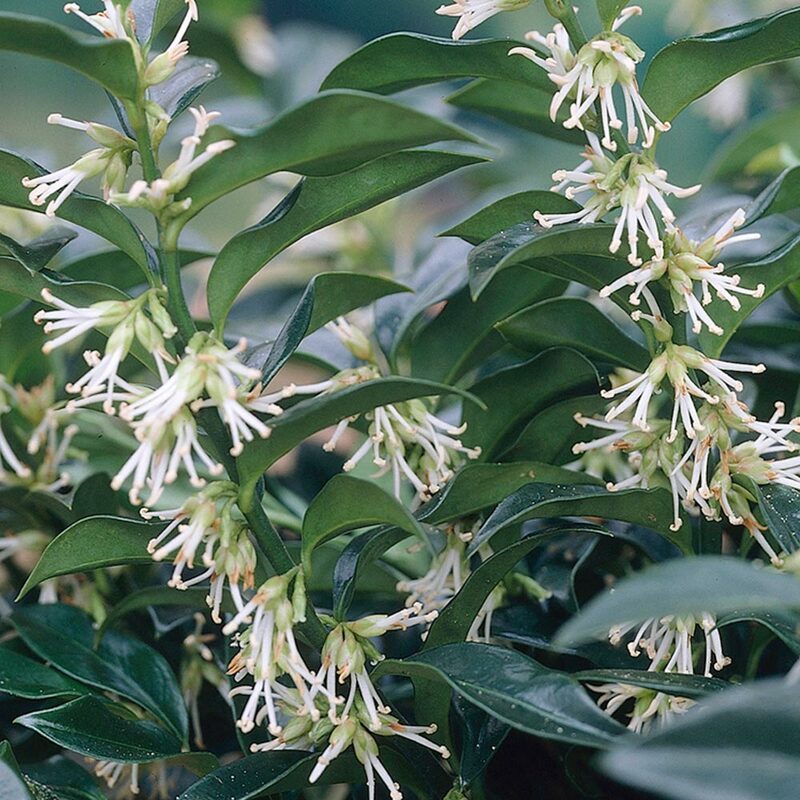 Commonly known as the 'Christmas Box' or 'Sweet Box', Sarcococca hookeriana humilis is a dense and reliable evergreen shrub which is also incredibly simple to grown, making it a firm favourite of novice and experienced gardeners alike. 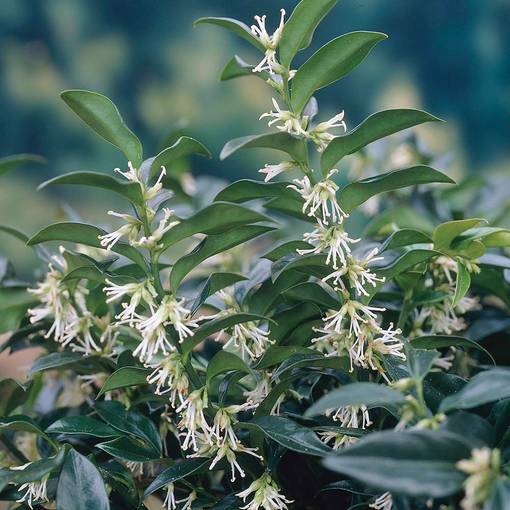 Flowering between December and February, the Sarcococca hookeriana humilis produces lush, leathery foliage, and small white flowers renowned for their delicate vanilla aroma. 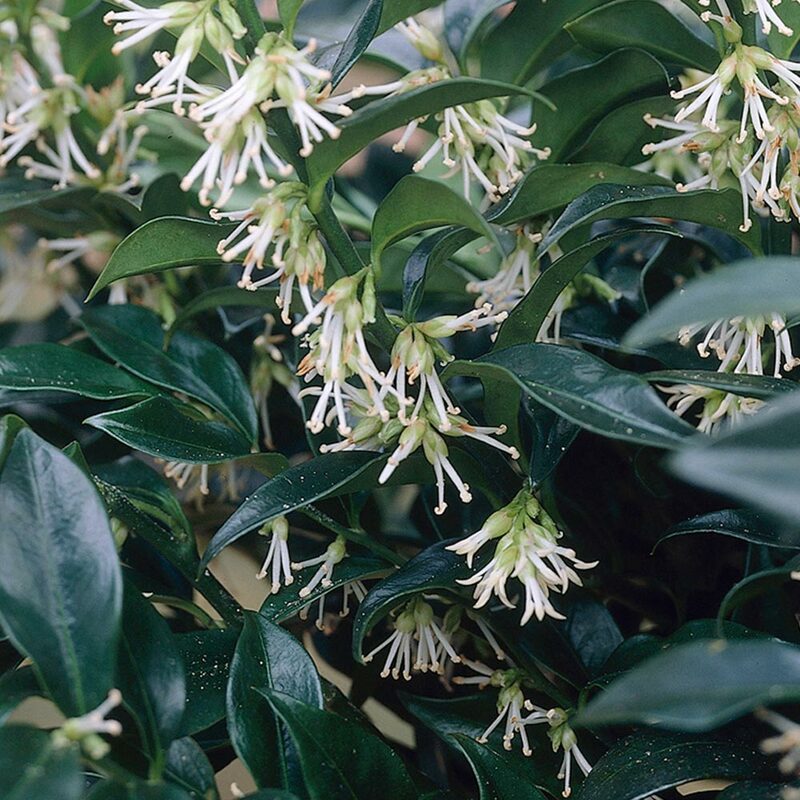 produces lush, leathery foliage, and small white flowers renowned for their delicate vanilla aroma. After flowering, this compact and hardy shrub will also yield an abundance of shiny black berries, much to the delight of hungry birds, making it the perfect plant for attracting wildlife to the winter garden. Due to its high tolerance for shade, the Sarcococca hookeriana humilis is a perfect addition to a shady border or woodland garden, and can even flourish in drier soils. 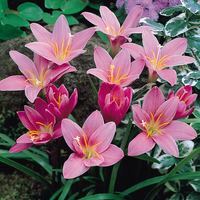 Grows to a mature height of 50cm and spread of 80cm. 9cm pot grown plant supplied. 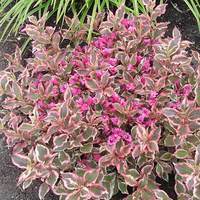 Ideal for ground cover if planted in groups. 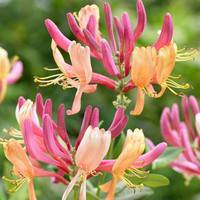 Plant where you will be able to appreciate the amazing fragrance. 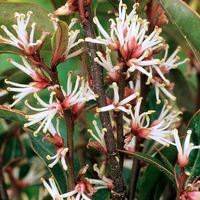 Prune Sarcococca plants annually, after flowering you can lightly remove any damaged branches.